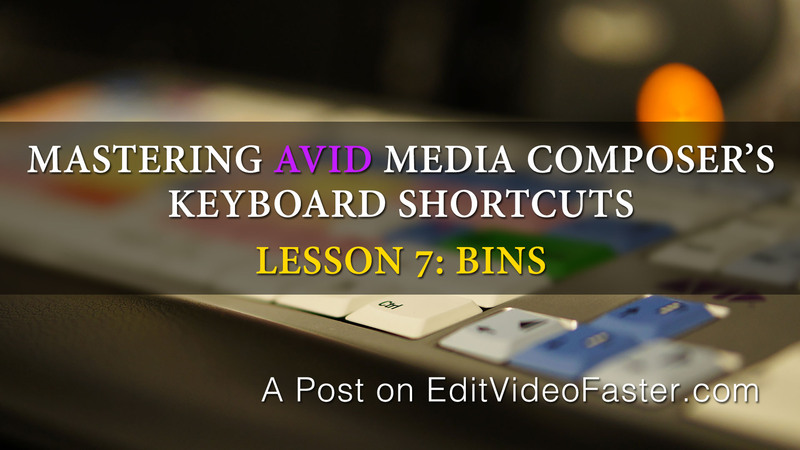 This is the seventh lesson in a series on mastering Avid Media Composer’s keyboard shortcuts. Each lesson tackles a handful of shortcuts. By the end of all the lessons you should be flying through your editing sessions. This isn’t just any old list of shortcuts. For many of them I explain exactly how they work and how I use them everyday as a professional editor. This lesson focuses on bins.